Checkpoint 56 is a fearsome sight to behold. It’s just a sophisticated barrier. Flashed before your eyes in a Rorschach test, though, Israel’s new “security” structure in the southern West Bank town of Hebron, a half hour drive south of Jerusalem, could easily be taken for a high-voltage substation, or an industrial meat grinder. The street-wide fortress of steel mesh doors, turnstiles and caged guard rooms — four months old and working well — seals off Hebron’s spiritual and commercial core, the part Israel took control of under the terms of the 1997 Hebron Protocol (“H-2”), from the larger zone where most of Hebron’s 170,000 Palestinian inhabitants live (“H-1”), nominally governed by the U.S./Israeli-backed Palestinian Authority. For the thirty thousand Palestinians living on the Israeli-controlled side of Checkpoint 56, amidst five hundred Jewish settlers and a couple thousand soldiers and police, life has never been more challenging. Hebronites have been living under Israeli occupation since 1967. 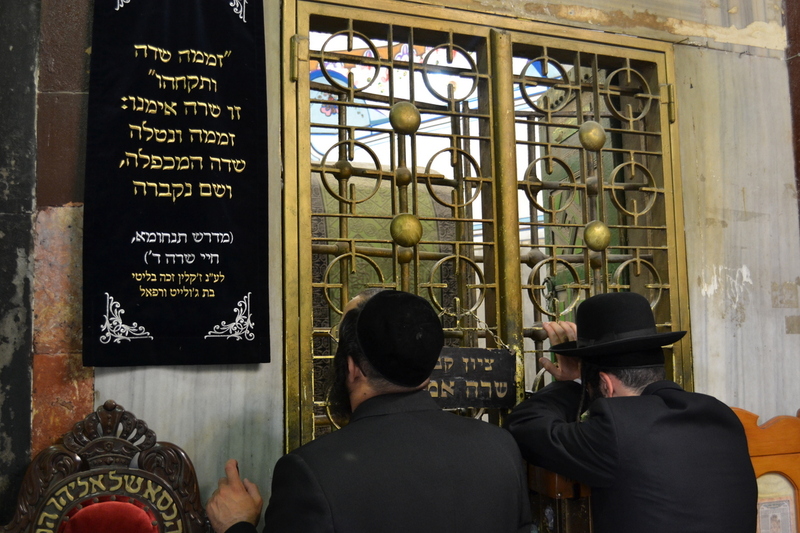 The key event leading to their city’s current division can be traced back to February 1994, when an orthodox Jewish man from Brooklyn ran amok in Hebron’s Cave of the Patriarchs/Ibrahimi mosque — one of Judaism and Islam’s most sacred precincts, reputed burial place of Abraham, Isaac, Jacob, Sarah, Rebecca and Leah — killing 29 Palestinians and injuring 125. 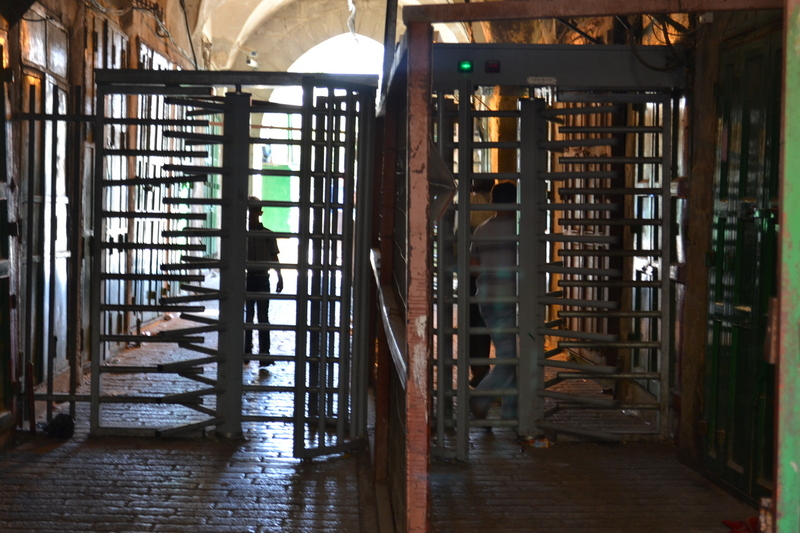 In the wake of riots that followed, in which another couple dozen Palestinians and a half dozen Israelis were killed, Israeli military authorities shuttered Hebron’s preeminent commercial/cultural thoroughfare, Al-Shuhada Street. Homes and shops were emptied, doors welded shut. 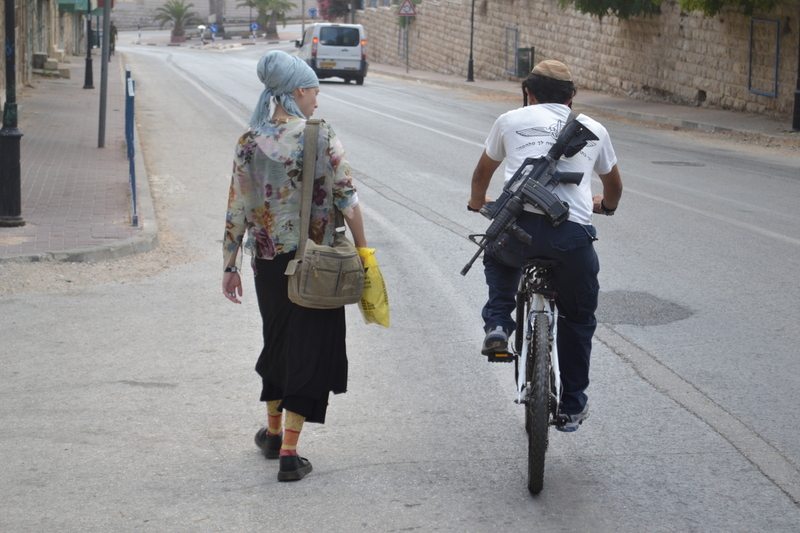 Of course, Jews from four local settlements and nearby Kiryat Arba could freely stroll Shuhada Street, automatic weapons slung over their shoulders, as could unarmed foreign tourists. Palestinians could not. Not even those living just above Shuhada, along the steep, rocky slopes of Tel Rumeida neighborhood. A checkpoint was established between Shuhada Street and Bab a-Zawiya district to the west. 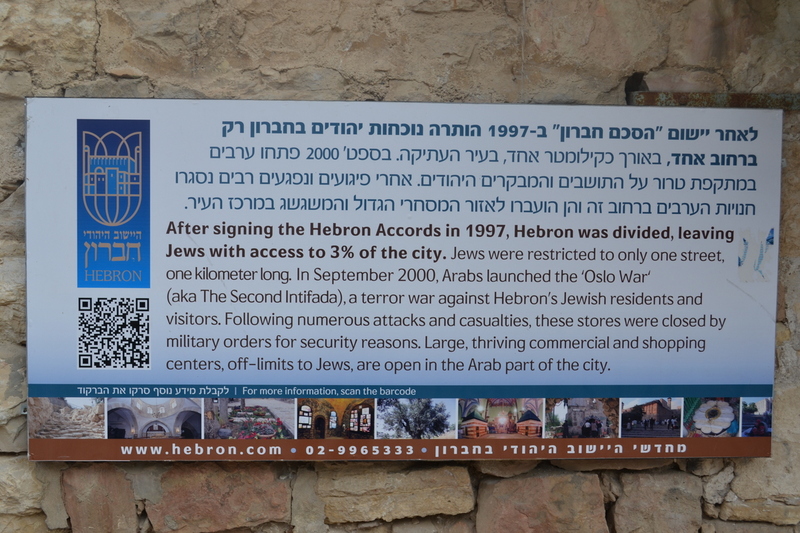 Hebronites crossed it in great numbers, heading to or from Tel Rumeida and the old city. Youth were the routine target of humiliation and harassment. When I visited Hebron in 2012, the checkpoint was a relaxed and porous structure (listen to me crossing it, in the company of Youth Against Settlements member Badia Dwaik). Under the terms of the 1997 Hebron Protocols, Israeli and Palestinian authorities agreed to maintain “unity” and “normal life” in Hebron. Israel agreed to open up Shuhada Street. But for Tel Rumeida residents, under constant threat of eviction and settler violence, life has been anything but normal — and Shuhada is still closed. 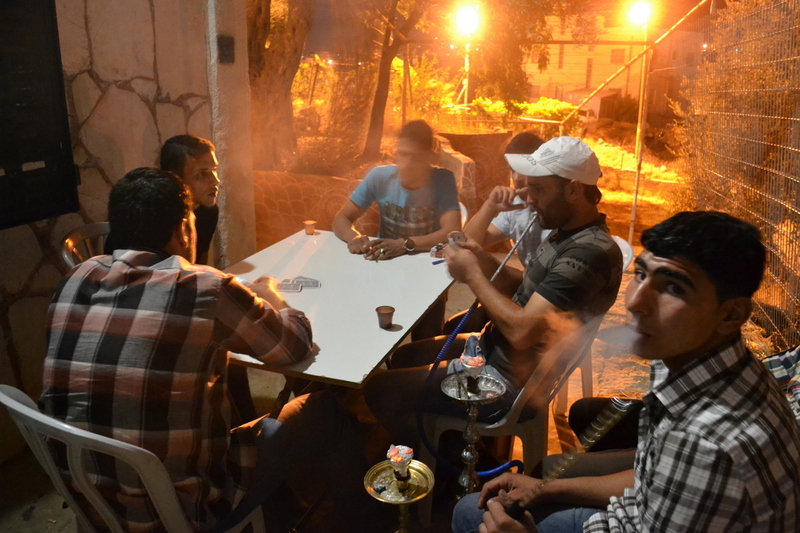 A group named Youth Against Settlements rented a house on a Tel Rumeida promontory overlooking Shuhada Street, turning it into a hub for peaceful activism. An ‘Open Shuhada Street’ campaign was launched. Israeli soldiers seized the property in the early 2000s, but the group recovered it in court. YAS coordinator Issa Amro was jailed on numerous occasions. Listen to me visit Youth Against Settlements’ Challenge Center, above — back in 2012. Fast Forward to the current troubles sweeping across occupied Palestine. On September 22, 2015, at a checkpoint in Hebron’s old city, an Israeli soldier killed 18-year old Hadeel al-Haslamounan. An iconic photo shows Hadeel, draped in black niqab, like a biblical apparition, her back to the camera, an Israeli soldier standing several meters away on the other side of a set of metal rails, pointing his gun at her. Witnesses told Amnesty International that the soldier shot her first in the leg, than several times in the body as she lay motionless on the ground. A knife fell from her hand, some said. “Pictures of the stand-off that led to her death and accounts by eyewitnesses … show that she at no time posed a sufficient threat to the soldiers to make their use of deliberate lethal force permissible,” Amnesty International reported at the time. This killing is the latest in a long line of unlawful killings carried out by the Israeli Forces in the occupied West Bank with near total impunity. The apparent unlawful killing of Hadeel al-Haslamoun triggered a wave of unrest up and down Palestine that continues to roil today. Mainstream media invariably trace the origins of the “Knife Intifada” to religious disputes over the Haram al-Sharif/Temple Mount that erupted in late summer 2015. Israeli leaders blame antisemitic incitement, failed romantic relationships and irresponsible social media. Others point to the daily humiliation and brutality of life under Israel’s permanent “belligerent occupation,” and to the hopelessness Palestinian youth feel about their future, given the failure of the “peace process” and lack of Palestinian leadership. In Hebron, the Israeli response to the violence was swift. 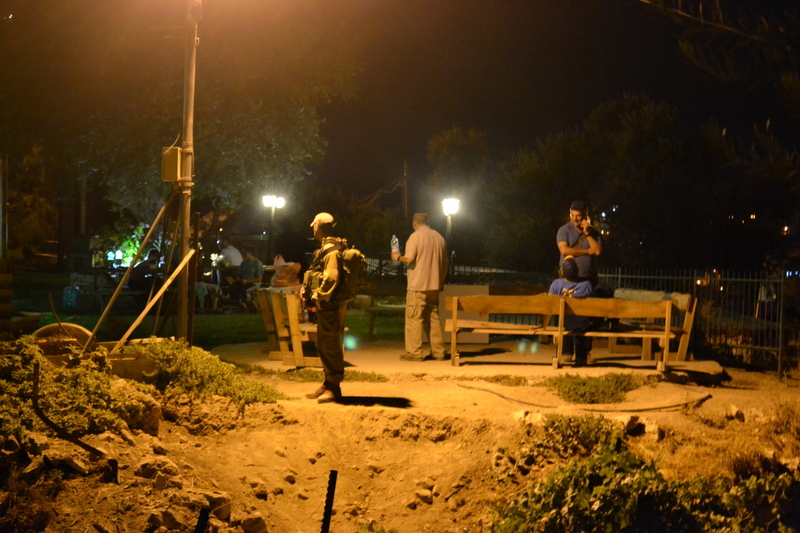 H2 was declared a “closed military zone.” On November 7, soldiers invaded Youth for Settlements’ Tel Rumeida aerie. The center was trashed and files and audio/video equipment seized, while Palestinians and international supporters were held in a room. A thousand Jewish settlers reportedly marched outside, accompanied by soldier friends, chanting nationalist chants and calling for the death of Arabs. 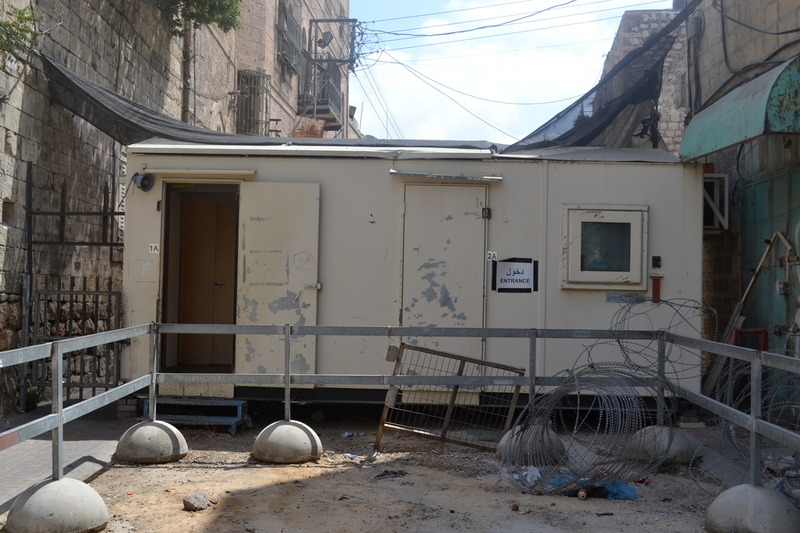 Then, in December, Israeli soldiers tore down Shuhada Street’s porous checkpoint, where fires had been set on various occasions, and erected a new, much more elaborate and impermeable one. Tel Rumeida residents would henceforth be numbered, and their ability to cross the checkpoint strictly regulated. 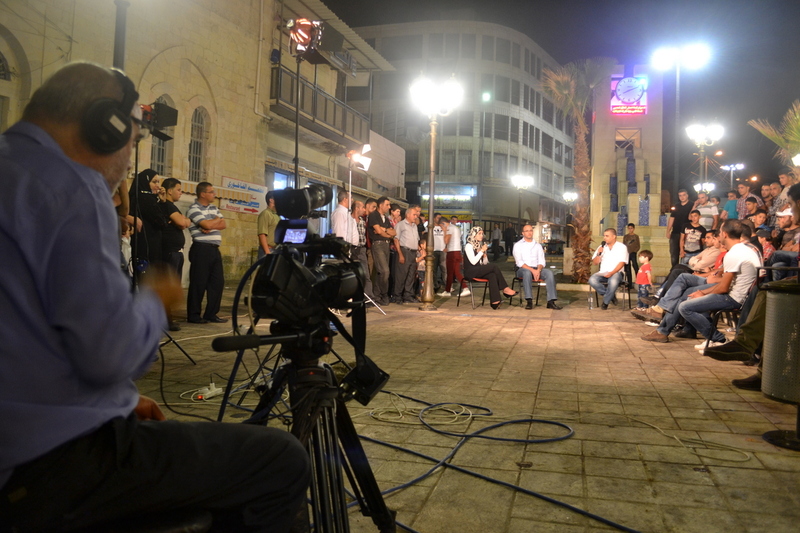 Journalists and NGOs would also be denied access, especially those aiming to accompany or interview Tel Rumeida residents. Recent reports show Jewish settlers staking tents on undeveloped tracts of Palestinian-owned land, within meters of Youth Against Settlements’ center, in the company of supportive Israeli soldiers and police. And the violence continues. Over 200 Palestinians have been killed since late September 2015, a third of them in Hebron. Some thirty Israelis have died at the hands of Palestinians. Hard and fast documentation is hard to come by. Reports have been filed by international, Israeli and Palestinian NGOs, and by the UN. Friends of Israel say Palestinians are the authors of their own sad story. 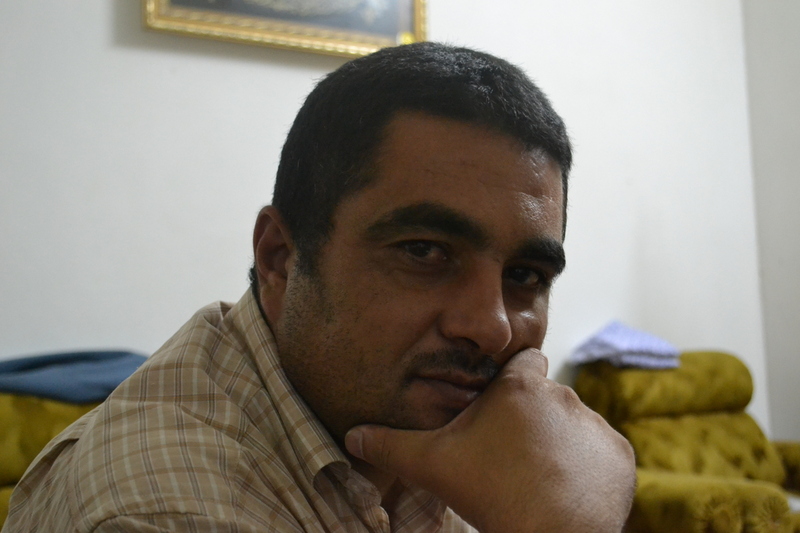 Al-Sharif and a friend — also killed — had reportedly threatened checkpoint personnel. A healthy majority of Israeli citizens polled on the subject consider the soldier-medic a hero. Murder charges against him have been downgraded to manslaughter, and he is free to wander freely around his base. Listen to Shuhada Street. Click on the SoundCloud link on the top of this story.